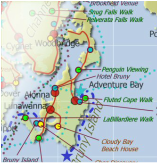 Read news, blog and our social media network about holiday accommodation and activities in the Huon Valley, Far South and Bruny Island, south from Hobart Tasmania, Australia. 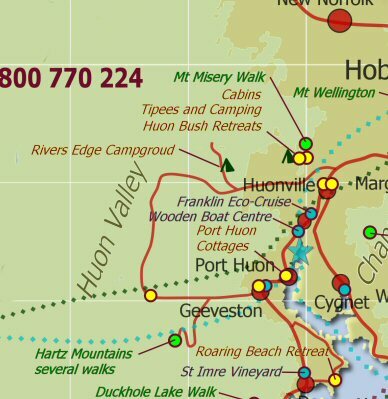 Click here to subscribe to the newsletter and enter the free draw for three different Huon Valley Escapes. There are reports circulating that Checkin.com is in liquidation. A test attempt to make a booking today resulted in the following webpage response: " Notice. The website is undergoing maintenance and is not processing new reservations for this time. We apologise for the inconvenience." 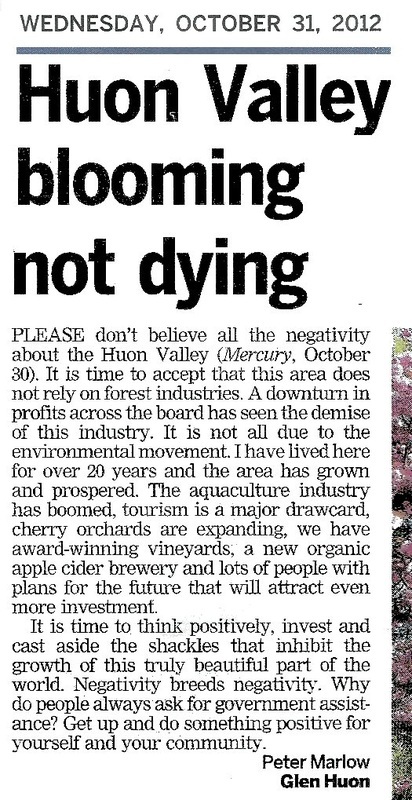 Huon Valley Escapes owner, Paul Dimmick, says, "This will certainly cause problems for us and our guests. 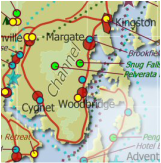 Several of our properties use Checkin.com as one of their booking engines. Guests might like to contact us direct to check their booking status or to make new bookings." Travel news site Travel Trends, published a story today stating in part "Checkin.com...was today placed in voluntary liquidation and is no longer processing new bookings. An email sent to the industry said there'll be a creditor's meeting in June and told hoteliers that if they are holding "future bookings to please contact the guest to arrange direct booking and payment. "For a refund to be issued, please advise the guest to submit a claim to their credit card provider," the email said..."
The 2013/14 Federal Budget has delivered a stable outcome for tourism which has largely protected Tourism Australia's (TA) core funding. There is a significant increase to the marketing capacity available to TA through the Asia Marketing Fund (AMF) - which is tied to revenues collected via the Passenger Movement Charge(PMC). In 2012/13 the PMC delivered $8.5M for the AMF and this has been forecast to increase to around $12.5M in the next financial year. In support of the tourism industry, the AMF provides additional marketing funds to TA while allowing dedicated research to better understand the Asian markets via Tourism Research Australia. The total funding via the AMF is projected to increase to around $54 million through to the 2016/17 forward estimates. The resources, energy and tourism sectors are key drivers of the Australian economy underpinning the competitiveness of regions, industries and businesses across the economy. These sectors are at the forefront of the economic and environmental challenges facing Australia, accounting for over 11 per cent of Australia’s Gross Domestic Product (GDP) and over 65 per cent of Australia’s export earnings. The purpose of the Department of Resources, Energy and Tourism (the Department) is to enhance Australia’s economic prosperity by improving the productivity, competitiveness, security and sustainability of the resources, energy and tourism sectors through the provision of high quality. Program 3 Objective The Australian tourism industry is diverse in nature and is characterised by a prevalence of small and medium enterprises and a high level of labour intensity. The industry is facing a challenging environment with intense competitive pressures and is vulnerable to factors beyond its direct influence. The key objective of this program is to lead the development and implementation of the Government’s tourism policy to maintain and promote a competitive tourism sector. – facilitating the provision of research and statistics to support business investment and guide tourism policy development. Implementation of Tourism 2020 to improve the productive capacity of the tourism industry, including delivery of outputs agreed by Tourism Ministers in relation to: Growing demand from Asia; Building competitive digital capability; Investment and regulatory reform; Tourism transport; Increasing supply of labour, skills and Indigenous participation; and Building industry resilience, productivity and quality. Strategic support for the Australian Standing Committee on Tourism and Tourism Ministers, to assist the Ministers to oversee and lead the implementation of Tourism 2020. Implementation of the National Tourism Accreditation Framework, working with relevant partners to improve the quality of tourism products and services. Delivery of an enhanced China Approved Destination Status (ADS) Scheme, to ensure a quality tourism experience for Chinese group leisure tourists. Delivery of the T-QUAL Grants Program, and other tourism related programs, as required. Development of policy initiatives to support Indigenous tourism and engagement with relevant partners to support Indigenous tourism development in selected regions. Engagement with key stakeholders to ensure that tourism interests are taken into account in broader context of Australian Government policy development and implementation, including in relation to labour and skills, infrastructure development, and regulatory issues that impact tourism. Engagement in multilateral and bilateral forums to influence beneficial outcomes for the Australian tourism industry. Engagement with Tourism Australia on governance and program issues. The Go Behind the Scenery campaign highlights the fact that the real appeal of Tasmania lies in what’s beneath the surface. Stunning landscapes and incredible food are what it's known for, and at first glance, is the holiday experience on offer, but when you dig a little deeper it's the things that sit below the surface that are the real experience of Tasmania. The campaign emphasises these behind-the-scenery experiences - the nooks and crannies, the off beat and original, and Tasmania's natural beauty set against the brutality of our environment and social history. 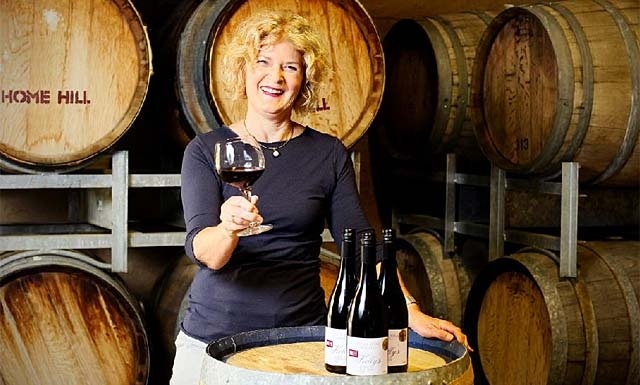 Just 10 minutes from Huon Bush Retreats, Rosemary and Terry Bennett's family vineyard, Home Hill Wines, at Ranelagh, cemented its position as Tasmania's leading pinot noir producer by collecting four gongs with its Home Hill Kelly's Reserve Pinot Noir 2010. Tasmanian Wine Show Society president Phil Laing said it was the first time a sparkling wine had claimed wine of the show, which attracted more than 500 entries. 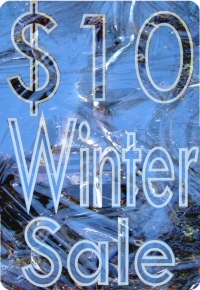 He said Tasmania's sparkling wines had come into their own. Stay at Huon Bush Retreats and enjoy fine dining at Home Hill Winery, or drop in for tastings or lunch on the way to Roaring Beach Retreat, Port Huon Cottages or Buttongrass Retreat. Huon Valley father and son Mick and Matt Newell wowed the judges with their abalone fritters, crispy-skinned salmon and eel-infused mashed spud on last night's My Kitchen Rules. The laconic abalone diver and his level-headed son are leading with a score of 80. Mick's tears and colourful language in the kitchen, combined with Matt's steadying influence, produced a meal of Tassie produce that made the judges rave and the other contestants jealous. This week, Paul has been visiting Tasmanian Visitor Information Network centres in Tamar Valley, North West and Western Tasmania. This vessel is currently under construction and operation is due to commence in late January 2013. Join us on a leisurely three hour cruise in this custom designed vessel. We have built it specifically to explore the shallow waters of the extensive Egg Islands wetland reserve. The highlight for bird watchers might be a chance spotting of the Australasian Bittern (pictured). First of November 2012 saw the launch of the expanded Huon Valley Escapes portfolio. Now with over 300 beds at 10 locations, plus a range of activities and information in Hobart and along the Huon Trail, this is your one stop shop for everything tourism south from Hobart. 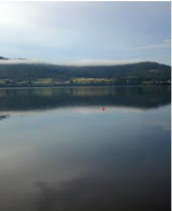 The tourism industry in Tasmania has a new industry-led Regional Tourism Organisation-- Destination Southern Tasmania. Destination Southern Tasmania has been established to provide leadership for the tourism industry in Southern Tasmania through providing a consolidated voice on key issues impacting the region, on tactical marketing and industry development. The chairman of Destination Southern Tasmania Vincent Barron also announced the appointment of Hobart based tourism executive, Ben Targett, as the first Chief Executive Officer. "Ben has experience in sales, marketing, branding, product development and managerial roles and we are particularly pleased that he has accepted the challenge of establishing this new body with the potential to bring significant economic and employment benefits to Southern Tasmania." He will commence his role on 17th May. 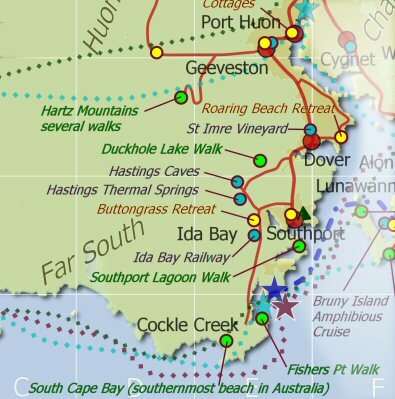 Mr Barron said the establishment of Destination Southern Tasmania was achieved after extensive consultation with tourism businesses and all Councils in the southern region. Destination Southern Tasmania will have membership drawn from industry-related businesses and from southern Councils and will be supported by Tourism Tasmania through its industry support unit. It will also encourage partnership agreements with industry and Councils for tactical marketing, promotional projects and for industry development throughout the region. "Destination Southern Tasmania will plan and deliver programs that market and develop the region, and will coordinate planning sessions with Local Tourism Associations and Councils to set and monitor annual strategic priorities. "A key measure of success will be the dispersal of visitors throughout the region and encouraging the development of experiences that extend the time visitors spend in our regions." Ben Targett previously spent 14 years at Hobart’s Old Woolstore Apartment Hotel, working in a variety of roles. During his time, The Old Woolstore grew to become one of Tasmania’s iconic tourism and hospitality businesses, winning over 25 state and national awards. "I look forward to the challenge of leading the establishment of an industry-led, regional tourism organisation for Southern Tasmania that will provide strategic direction to our marketing, industry development and advocacy activities," Mr Targett said. "It is vital that we are able to work together across our region to maximise the many benefits a vibrant tourism industry brings"
"The process of engagement with industry, local Government and Tourism Tasmania has clearly identified that strengthening the awareness and appeal of the region, and sensitively adding to the range and quality of products and experiences available in our region are essential requirements of Destination Southern Tasmania." "It is important that we find a way to unlock the potential of Hobart in order to help grow visitation to the city and beyond, whilst also appreciating the great appeal of the attractions and activities across the Southern region." •14 years at the Old Woolstore Apartment Hotel in a variety of roles. 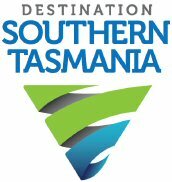 Destination Southern Tasmania (DST) is the newly formed regional tourism organisation for the southern Tasmanian region. DST will actively pursue advocacy and industry development activities as well as plan and deliver tactical marketing campaigns with the objective of increasing visitor numbers, yield and dispersal to the benefit of tourism operators across the region. All enquiries about the role of DST and opportunities to become involved should be directed to the CEO, Ben Targett.